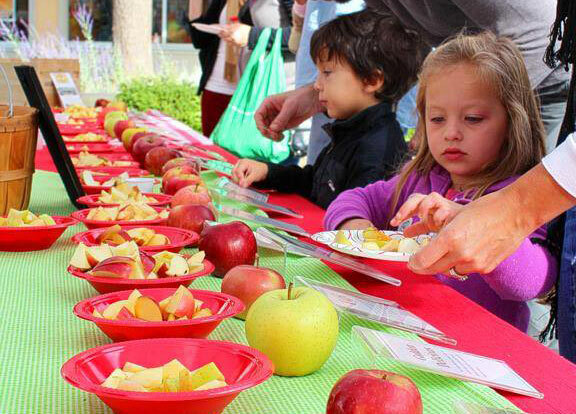 Come celebrate the autumn season with some old-fashioned harvest fun… live music, apple pie eating contest and apple sampling with 20 varieties of Pennsylvania’s finest apples! Apples abound at EFM at Apple Jam along with fresh apple cider, apple cider donuts and apple fritters. And don’t forget that one of our favorite local bands will be jammin’ in the square for your entertainment while you take a bite out of the forbidden fruit!